I've found a wicked wee gem amongst my bargain purchases from Dollish Polish. Wicked Wario is a purple micro glitter that looks like a shimmer, it's stunning! Add to that mini green squares, yellow hexes and larger white squares for the odd pop of colour. 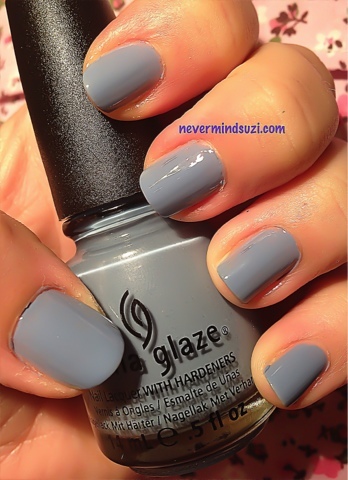 I used China Glaze - Fade Into Hue as undies and it was transformed from a dusty blue into a delicate purple. This combo is totally knocking my socks off!